This was an easy read so if you’re jumping into business development and not looking to take on Rockefeller or Carnegie’s autobiographies quite yet, this is a good jumping off point. 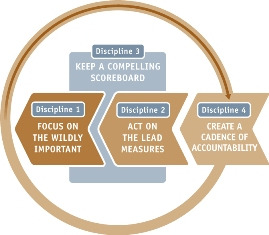 A lot of my highlights happened in the forward written by Jim Collins (author of Good to Great) so it doesn’t make my number of aha’s surprising. What’s your greatest hedge against uncertainty? Having people who can adapt to whatever the mountain throws at you. Great decisions begin with really great people and a simple statement: I don’t know. I tried to make heroes out of those on my team who identified flaws in my thinking. No major decision we’ve studied was ever taken to the point of a unanimous agreement. There was always some disagreement in the air. What is the truth of this situation? What is the truth about the outside world? Some decisions are much bigger than others; some are forks in the road. You can’t entirely control your own destiny with good decisions. Luck is still a factor. Decision-making is ultimately a creative act. There are so many more. This is a taste of this easy-to-read book. Enjoy! For years I’ve been harping about highly suggesting agents give consumers “what they can’t google”. That is, after all, where our value lies. Once upon a time, consumers needed a REALTOR to tell them everything about a home. Now, they have it all at their fingertips… literally. Their cell phone’s in their hands right now. So much of what used to be private, close-to-the-chest information is now super public. So, REALTORS have to step up and step in. We often can’t even begin to see where our value lies because we forget what we take for granted that we know. Like how this subdivision has roof problems or this floor plan’s garages always leak when we have heavy rains or how this sliver of a city actually is in a better school district. So, give your people what they can’t google. Don’t know where to start or are new in the industry? Start with WalkScore.com. Then favorite every city website and calendar. Go to city hall and compliance departments and ask questions and get to know the staff. Find out what charity events and festivals are coming to town. Become a student of your cities. Bruce Hardie was just in Baltimore talking about The 4 Disciplines of Execution and getting your Wildly Important Goal figured out. Oh, that kind of a WIG… Yea, I’ve got one of those! Most of us do not have a problem with getting great ideas. Hell, we could revolutionize our industry with all of our awesome thoughts we come up with throughout the day. It’s the plan for execution we trip on. Yep, I’ve felt those bruises, too. So, figure out what your 1st domino is: what is the ONE Thing that when you achieve will make all your other little goals easier or unnecessary? That, my friends, is your WIG. There are 4 steps however you have to build a rock solid foundation before you throw up beams and a roof and call it a home. This article by Keller Williams Metro NW Team Leader Melissa Krchnak originally appeared on YPN Lounge by REALTOR Magazine Blogs. But do you know the difference between something being an expense versus asking about its ROI? As REALTORS®, we all probably have those inevitable monthly expenses: sign storage, database management software, and digital signature services. Have you ever taken the time to really think about these things and what they mean—and cost—for your business? I was having this conversation with a colleague and here is how he described the difference: An expense is something in which we’ve yet to find the value. That was a big BOOM moment for me! I see the value in those “expenses” just listed and yet I’ve never questioned their ROI. Go check your bank statement and see if there’s something on there you’re not finding valuable. That, my friend, is an expense. My advice is to pull out your income statement and clear your books of these “expenses” so you can better invest in items with an “ROI”. Don’t have an income statement handy? Here’s a sample chart to peruse. Melissa Krchnak is the Team Leader for Keller Williams in Pikesville, MD. Connect with her on Twitter @mkrchnak.